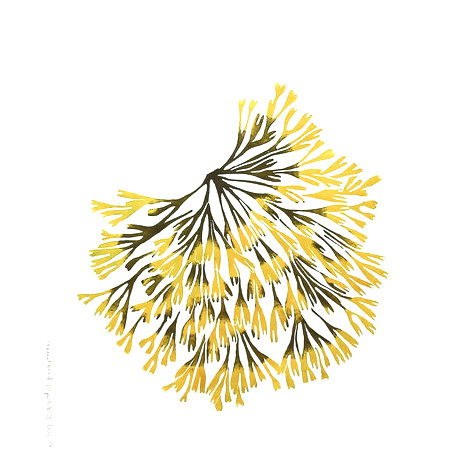 Bring the Sea Home—part of a collection of botanical prints inspired by seaweed foraging in the ice cold waters of the Atlantic. Crisp, elegant shapes are softened by delicate colour variations. 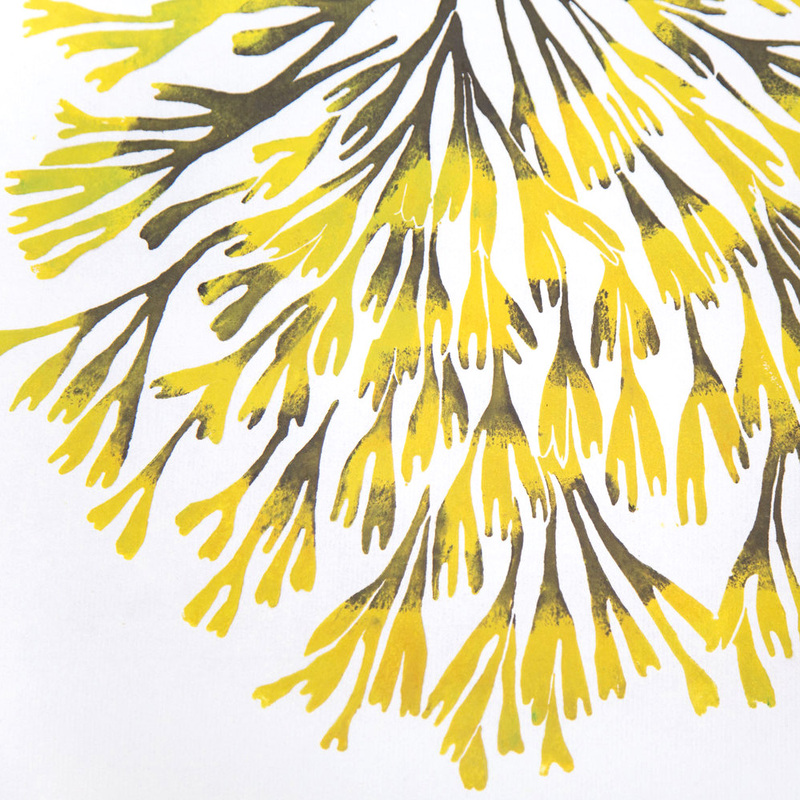 Each print block is cut and hand-printed on the west coast of Ireland. Water-based inks are printed onto 50g handmade Japanese washi paper from Awagami Factory in Tokushima, Japan, where they have been making washi papers for eight generations. Signed and dated, 520mm x 430m. Packaged in a Superfolk-branded cardboard tube. SKU: Channeled wrack superfolk. Categories: Spring, Print & Paper.